Okay, so the new Tesla can accelerate from 0-60mph in 2.5 seconds! Wow, that's fast! According to Tesla, the same car will travel 400 miles on a full charge. Great, providing you stump up USD$140,000. 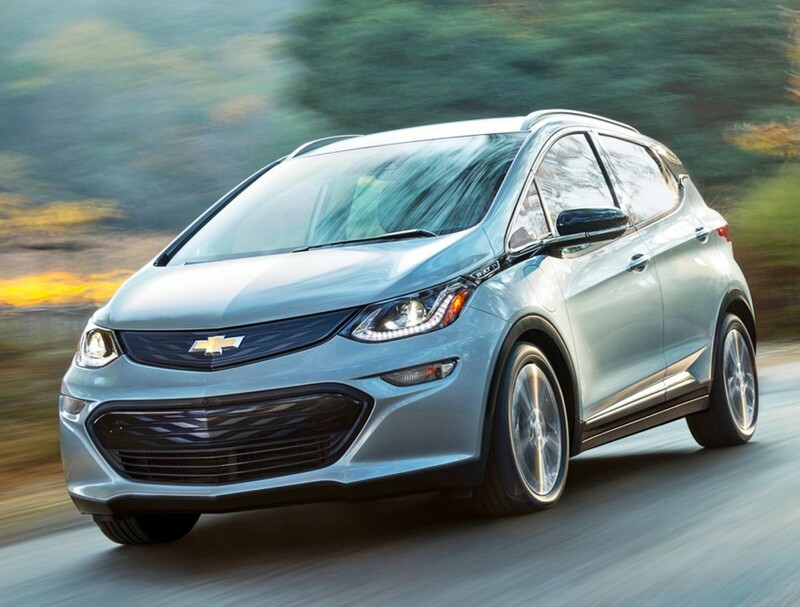 For USD$38,500 Chevrolet in the USA will sell you the 'Crossover' BOLT EV. No room for a spare tyre, so it comes with Michelin self-sealing tyres. The BOLT's drag co-efficient (isn't) at 0.32cd, so no word on the 0-60mph time; but Chevy says the BOLT can travel 238 miles. Not bad for much less than half the cost of a Tesla. But, here's the kicker! All that electric car convenience slows down dramatically when it's charging time. 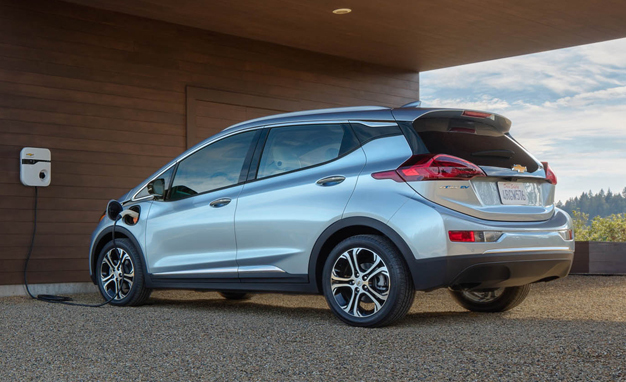 Chevy says the BOLT can be fully recharged in...wait for it...just under 10 hours! Wow! And that's if you have a 240 volt house current. Wait for it; most U.S. homes only have 110 volt house current! That means the neat and stylish charging point in the photo below, costs a bundle to install. Take it from me, this is NOT the future, yet! Yes. I installed a 240-volt outlet in my garage for my Tesla Model S 60, but since the garage is detached from the house, the workmen had to tear up the walkway to run the heavy duty wire from basement to garage. That cost $2,500, but my house in northern New Jersey has more than 60 solar panels so charging at home is free, as it is at the Tesla Superchargers I use when attending the jazz festival in Montreal or taking our son to college near Philadelphia. As for the 9.5-hour charging time of the Bolt, an owner shouldn't allow it to run down to the point where it would take that long. I was told to plug in my Model S every night, as I do with my phone, so it has a full charge for daily use every morning, and that takes only an hour in view of the limited driving I do as a retiree. Still, Tesla's Model 3 will be a much better choice than the Bolt, which will be available in only limited numbers at the end of this year, guaranteeing that dealers will gouge customers for "added dealer profit" on top of the list price, which will be over $40,000 with options.